Obituary for Kaye F. Hiles | Buechele Funeral Home and Cremation Services, Inc.
Kaye F. Hiles, 81, of Bradys Bend Twp., Armstrong Co. died Saturday, September 29, 2018 at her home. Born May 5, 1937 in Rimersburg, she was the daughter of James A. and Frances (Mohney) Fowler. Over the years, Kaye worked at OI Glass in Clarion, Dr. Margulio’s office, Bells Dairy Queen and Riverside Market in East Brady. 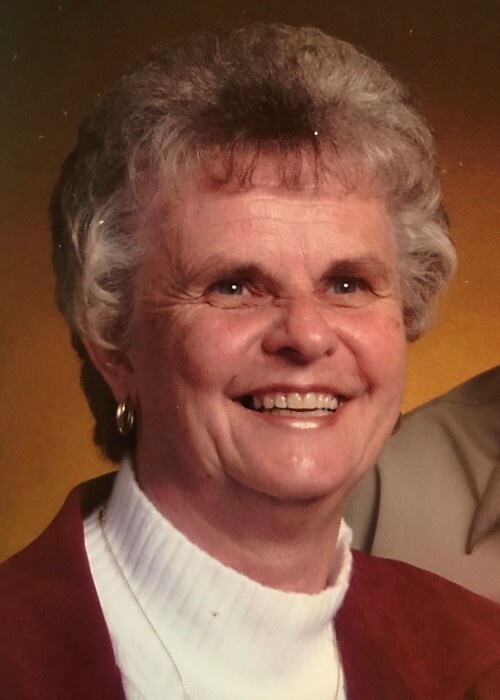 Kaye was an active member of St. Paul’s Community Church in Sugarcreek for many years. She served on the service committee and helped with all church functions. She especially enjoying going out for lunch with her friends and spending time with her family. She is survived by 1 son; Michael (Lisa) Hiles of Sherrett, 2 grandsons; Brian Hiles and Walker Hiles, 2 granddaughters; Brooke Hiles and Ashley Hiles, 1 great-granddaughter; Lennox Young and 2 brothers; Rodney (Kathy) Fowler of Kings Court, TN and James (Joanne) Fowler of Cortland, OH. Funeral Services will be held at 11:00 AM Wednesday, October 3, 2018 at St. Paul’s Community Church with Rev. Jonathan Jenson and Pastor Paul DeBacco co-officiating.